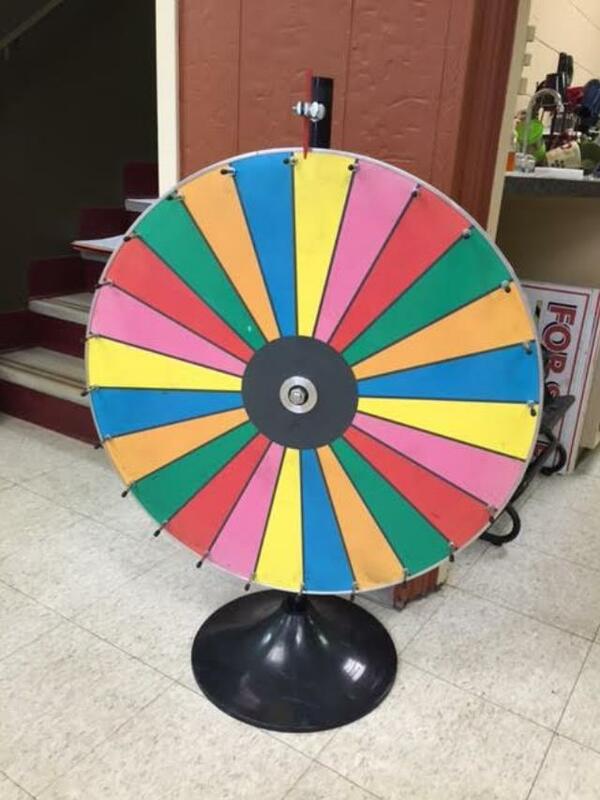 24 SPACES ON WHEEL-6 DIFFERENT COLORS. BLUE, ORANGE, YELLOW, PINK, GREEN, AND RED. 42 INCHES HIGH BY 30 INCHES WIDE. * Please call us for any questions on our wheel of chance rentals in Kalamazoo MI, and Southwestern Michigan.